Home in the woods is a long-standing tradition at Asbury Hills. But it is also one of the activities on parent and camper reviews that people seem to either love or hate. We get it! It is designed to be an activity to challenge groups to work together and push campers out of their comfort zones. We understand that family camping, especially primitive camping, is not as common as it once was. 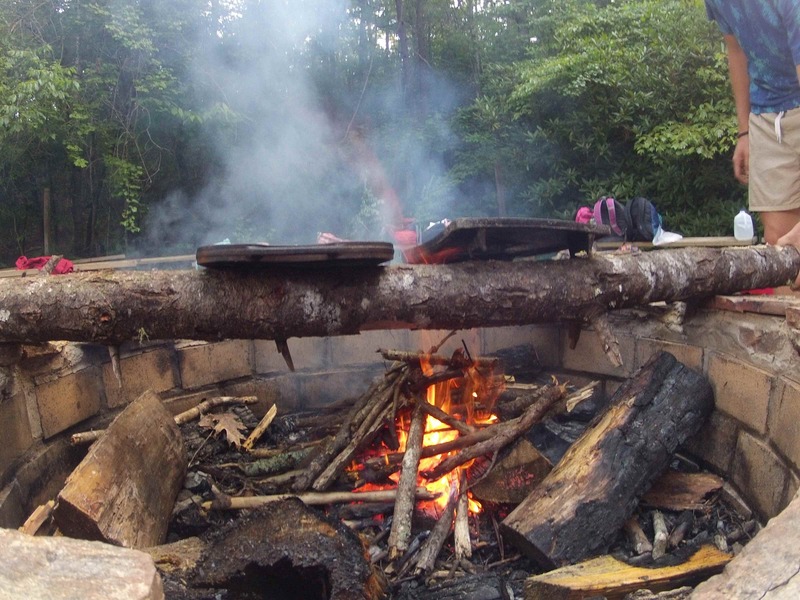 Because of this, for many of our campers, home in the woods is their first experience camping out ever! However, we are sensitive to our campers’ experiences and expectations. We expect home in the woods to be a challenging activity for some, but we want it to be a great one by the end! This is why we are excited to announce, for the summer of 2015, there will be platforms built at the home in the woods sites. 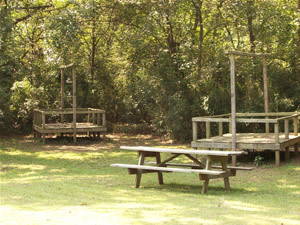 These platforms will allow our groups to have the same opportunity to experience nature first hand and for campers to learn camping and cooking skills while providing a little more comfortable of an experience. Campers will still be sleeping in nature without having to sleep directly on the group. This will also limit the amount of tarp flooding that can happen when rain moves in on home in the woods nights. Eagle scouts and other volunteer groups will be working various weekends this fall and spring to outfit our campsites with platforms. We are excited to be able to offer them to campers this summer! Below is an article originally published in the February 21, 1963 edition of the Advocate. Today, we are thankful that 50+ years ago many worked towards and dreamed of the place that would become Asbury Hills Camp & Retreat Center. Next Sunday is Camp Development Day in the Methodist Churches of South Carolina. Behind it are the hopes, dreams, and mountain-top visions, on the part of many people through long years of youth-work in the Methodist churches of South Carolina, which are now becoming a reality. 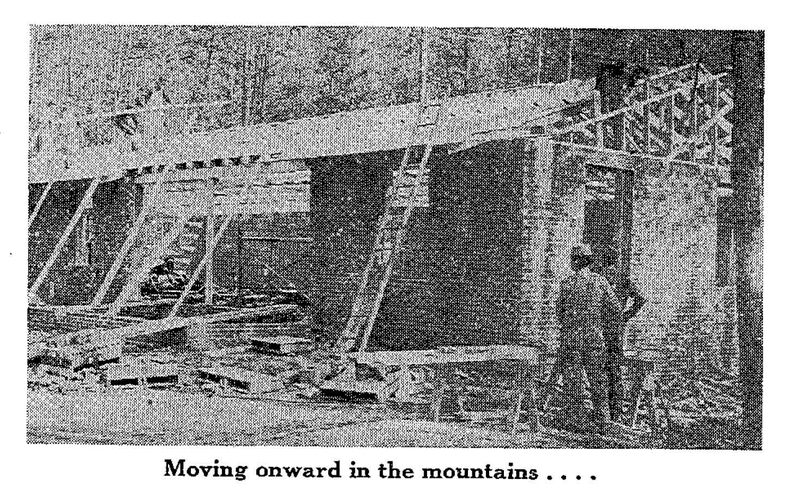 In the mountains, between Travelers’ Rest and Caesar’s Head, Cleveland, SC, the Methodist Camp is taking physical form. Ten cabins have been finished, of which seven are for Juniors, and three for Senior Youth. Being built are the Health Center, Staff Lodge, and Dining Hall. Just completed is the Bath House. 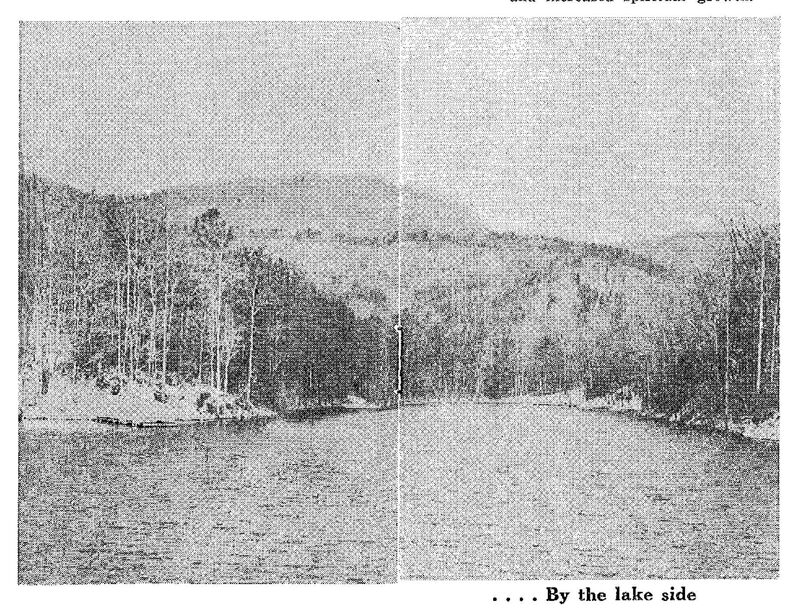 Previous to this, a water system was install, roads built, a dam built and water impounded for the lake, and a home constructed for Camp Superintendent Wesley Voigt and his family. There are 565 acres in the site. 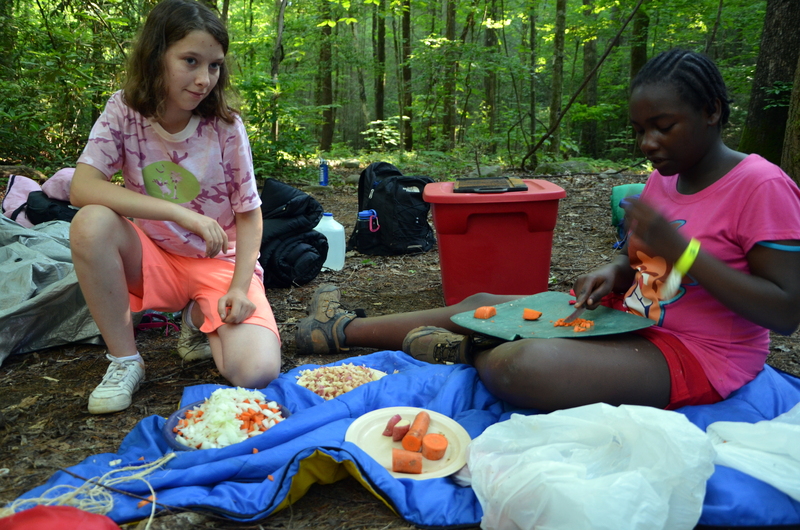 Camping has been an important part of the program of Christian Education conducted by the Boards of Education of the form Upper South Carolina and the South Carolina conference. With the merging of the two conferences in 1949, the program has been statewide in nature. Working under the direction of the conference executive secretary of the Board of Education in this program have been Directors of Youth Work, who have borne a major part of the responsibility through the years. With state-wide responsibility, and coming into contact with hundreds of young people from the nearly 800 Methodist churches throughout the state, the post is a vital one in the life of the church. 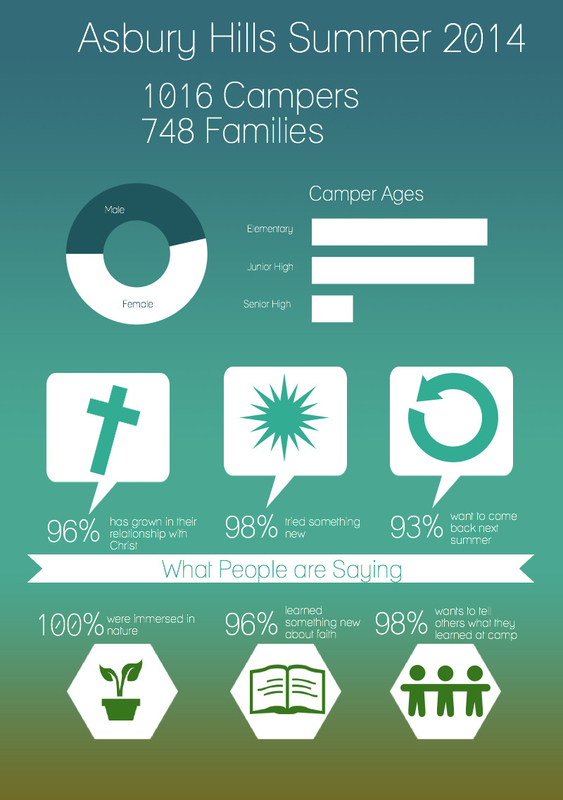 At times served by volunteer leaders of the Conferences, and at other times by full-time persons, all have found camping a valued part of the church’s work. Each summer, for many years past, the camping program has been carried on at State Parks, rented for limited periods of time in the summer, and in such other facilities as have been available. Now the work is under way. 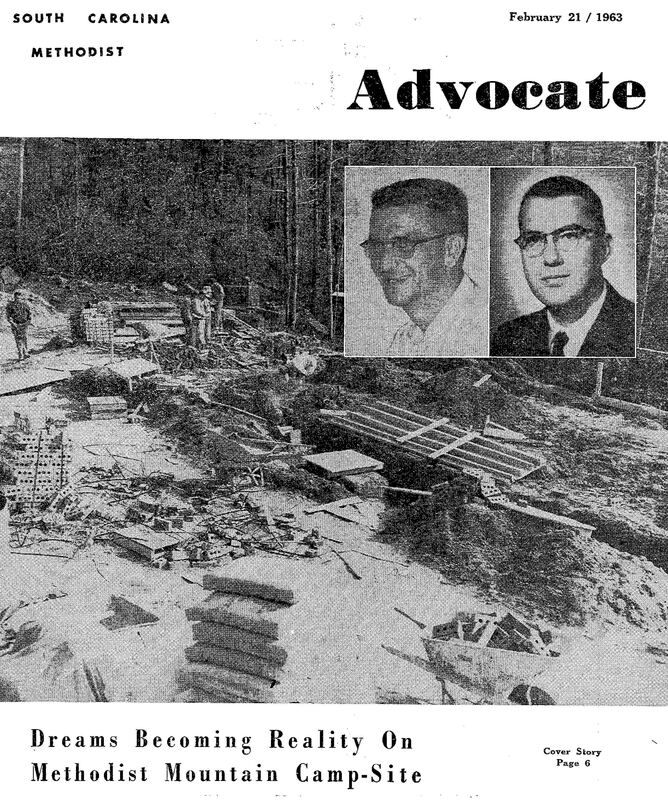 With the earlier contributions, and the memorial cabins already built and the work that has already been done, the present construction will make it possible to use the Camp in the summer of 1963. Beginning the third week in June, there will be four weeks of camping for Junior girls and boys. Senior youth, age 15 and above, will have a two-weeks Work Camp, beginning the first week in July. At that time they will help to develop some phase of camp life. Last year, 20 young people in such a camp built two bridges over streams in the camp. The Work Camp this year will be limited to 22 persons. Applications should be made to the Youth Director….